When it comes to boosting your business’s performance and outreach to new customers, your marketing team – even if that’s just you – should be considering how to have a better online presence and higher ranking in search engines. The reality is, SEO (Search Engine Optimization) is the direction that our business marketing world is moving. Having an excellent search engine ranking is the best way, nowadays, to acquire new clients. Let’s talk about the myths and the realities of SEO; knowing the realities can help you better navigate the SEO world. Myth 1: SEO doesn’t apply to my business. This myth is one of the main obstacles that keeps small business owners from looking into online marketing. Plenty of people just don’t believe that customers will be looking online for plumber and HVAC contractors, however, this isn’t accurate. People are flocking to search engines and review sites instead of asking neighbors for recommendations. Myth 2: Quantity over quality. There’s a myth about SEO that the quality of the content you’re putting out there doesn’t matter so much as the quantity. This is far from true. There needs to be a balance here. If you’re putting out tons of content, but none of it is accurate or diversified, search engines won’t see you as a credible source. Myth 3: Interlinking isn’t important. Interlinking means creating a web of links within your website to help the search engines crawl it easier and more effectively. 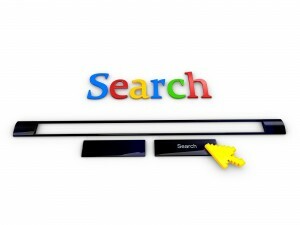 These links are important to help the search engine naturally navigate deeper into your site. The more pages the search engine can find, the better chance you have of a real person finding them as well. Don’t forget to link to other credible sites as well. Linking out to external sources is a trust factor. Myth 4: SEO doesn’t work on cell phone searches. Another thing you might have heard is that SEO doesn’t work for mobile users. This isn’t true either. Mobile search engine users are everywhere, and so SEO is possibly even just as important for mobile searchers as it is for desktop users. In fact, earlier this year, Google confirmed that more searches happen on mobile than on desktop. It’s true that some business owners have never heard of SEO, much less these myths. The truth is though, regardless of your familiarity with SEO and its benefits, know this: it is the new and powerful way to market your business. Contractor 20/20 can help you achieve the best online presence possible. Debunk these SEO myths with our team! (607) 770-8933.